Mary-Kate Olsen and Olivier Sarkozy: The former child star turned fashion designer is rumored to be engaged to the banker, although she has yet to officially confirm the news. When this engagement was first announced, there was a collective “ew” heard around the world. Olsen is 27 years old, while Sarkozy is 44 years old — but one can say that Olsen has experienced a lot in her 27 years. Therefore, their 17-year age difference shouldn’t be a major factor in this relationship. It’s the visual of seeing them together that makes people stop and ponder a bit. She’s a petite youthful-looking pixie, while he’s over a foot taller than her and looks every bit of his four decades. In other words, he looks more like her daddy than her fiancé. Seeing the two of them with his teenage daughter definitely makes you do a double take! Since Sarkozy and Olsen have been together, she seems to be completely drama-free. The two already live together in a six-million-dollar home in New York City, and the fashion designer has shown how she will be as a stepmom to Sarkozy’s two children. So the next step appears to be marriage. I can see them getting married secretly and having a baby together before the relationship hits a major bump. 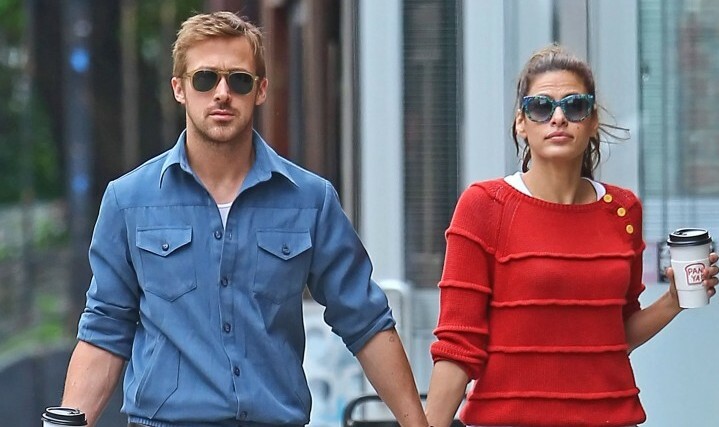 Eva Mendes and Ryan Gosling: Are they together or not? That’s the question. The two of them haven’t been photographed together for over three months. In the midst of the break-up rumors, she has been seen walking his dog, while he has been seen driving her car and peeking over her fence. One report even had the actor rekindling his relationships with his The Notebook co-star Rachel McAdams, who he admitted was his first love. Maybe the twosome are just having fun and like to keep us all guessing. It could also be a way to get people interested in Gosling’s directorial debut How to Catch A Monster, which Mendes stars in. In looking at their relationship energy, I feel like these two can’t figure out what they’re doing. Either they commit to each other 100 percent and get married or buy a house together, or they split and move on. Part of why they’re staying together is their comfort level. Also, might I add that it looks like things in the bedroom are quite fabulous. Let’s keep it real: Good loving will make anyone stay around a little bit longer! George Clooney and Amal Alamuddin: It has finally happened: Clooney is dating a woman who has beauty and brains. This isn’t to throw any shade at the lovely ladies he has dated in the past, but his new girlfriend has some major girl geek credentials. Alamuddin’s resume includes a career in international law, fluency in French and Arabic, and a degree from Oxford. Plus, she’s an author. Some say that she’s way out of Clooney’s league. While the actor is no Oxford grad, he is deeper than some of his former dating choices. Let’s not forget that he normally makes his intellectual statements in the movies that he produces and directs. There is speculation that he staged the recent photos of the couple in New York because he’s upset that his ex Stacy Keibler got married and is expecting a baby less than a year after their break-up. I won’t go so far as to say that Clooney cried over Keibler’s big news, but it bruised his ego a bit. He’s used to his exes looking a little pitiful in the press when he drops them, whereas the beautiful blonde rebounded with a win. His relationship with Alamuddin will have a typical Clooney run. She will accompany him to events, vacations, and other high-profile outings. However, she will bore of him versus him getting bored with her. She’s a woman of many layers; Clooney picked a lady who will give him a run for his money.